Description: Successfully activating new and repeat major gift donors will be most successful when there is a strong culture of philanthropy that puts the prospect first. This interactive session will explore challenges and provide suggestions for how to improve your organization’s philanthropic culture. We’ll discuss what motivates prospects to become our best donors, and determine what is — and is not — working in our programs. Together we’ll learn how to put the prospect first, what the prospect wants from us, and how to create a strong culture of philanthropic leadership among our board members, volunteers, administrators and program staff. 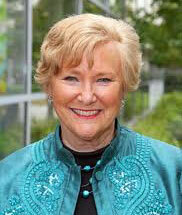 Claudia Looney brings more than 45 years of experience in non-profit development and management. Prior to her role as project consultant at CCS, Claudia served as the Senior Vice President of Development at Children’s Hospital Los Angeles. In addition to managing all aspects of the fundraising activities, Claudia has overseen the capital campaign that raised more than $1.03 billion. This was the largest campaign at the time, for a free-standing children’s Hospital. Additional campaign experience includes a $125 million campaign to build the new Northwestern Memorial Hospital in Chicago, the $60 million campaign for the California Institute of the Arts (CalArts), a $20 million CalArts earthquake renewal campaign, and the $20 million campaign to build the Woman’s Hospital at Saddleback Memorial Medical Center. Claudia has had extensive fundraising and communications management experience at key organizations. In addition to leading all fundraising programs, activities and development operations for Children’s Hospital of Los Angeles, she managed and oversaw all fundraising, as President of the Northwestern Memorial Foundation in Chicago. When Vice President for Planning and Advancement for California Institute of the Arts, and as President of the Saddleback Memorial Foundation, Claudia was responsible for all aspects of fundraising, marketing, and communications. Golden Gate Council, Campfire Inc.
Los Angeles Council, Campfire Inc.
in North America. She is also past chair of the Association of Fundraising Professionals (AFP) Foundation and was a member of its International Ethics Committee. She is a Fellow, was a past board member and served as Chair-Elect of the Association for Healthcare Philanthropy (AHP), and is a Certified Fund Raising Executive (CFRE). Claudia received her B.A. from California State University in Fullerton and is an alumna of the Charter Class of Pitzer College. Her husband, Jim, is a fundraising consultant. They have one married son, Chris, who along with his wife Anisha, are also fundraisers.